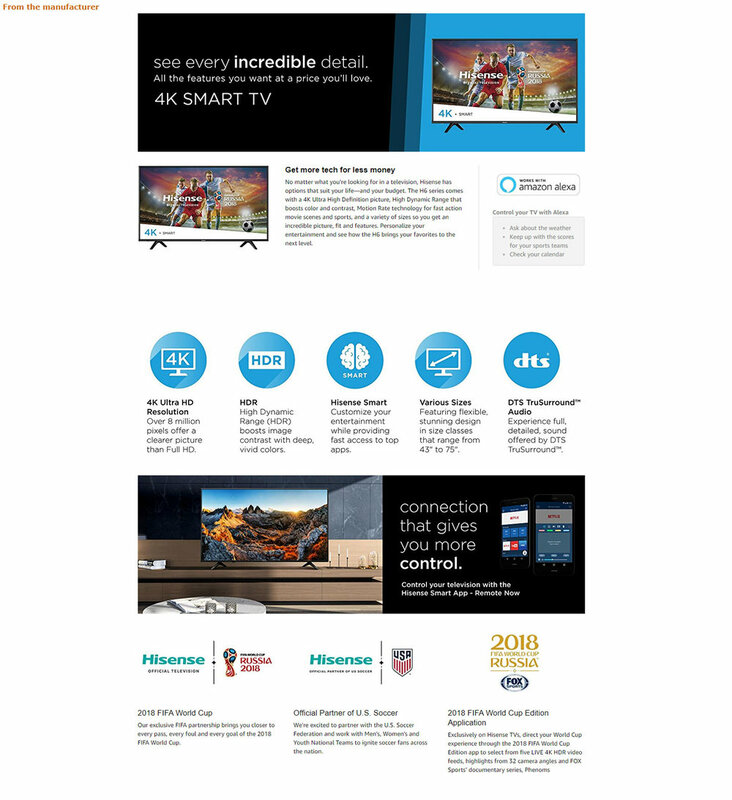 Designed Hisense brand Page on BestBuy online store to promote Hisense brand image and new launching product features. Product pages were set up for each single product that is selling on Amazon, Walmart, Lowe's. Web collage pages were desgined specially for Amazon.com. There are page temples designed for H9, H8, H6, Ruku, H5 series and Laser TV.